I am ridiculously, incredibly lucky and blessed in many many parts of my life, and some of those are a) I live in Chicago! and b) I have an awesome boyfriend who likes spending stupid amounts of money on restaurants (whereas I spend relatively stupid amounts of money on ingredients like chia seed and flax and agar agar). So last week we grabbed a chance to eat the Bocuse d’Or menu at Next, which was ridiculous and exciting and a five hour extravaganza and the best experience of about 4-8 hours of my life (close second is the Twilight movie marathon I did before the midnight showing of the fourth movie). There’s literally a trailer for our meal: http://youtu.be/hSnhoOwoG_s. Here’s some random review talking about how great it was. Packs mighty flavor for such a shrimp of a dish (it’s maybe 2 inches in diameter). Photo by Michel Gebert, click for link to the site for more pictures. This was one of my favorite dishes of the night, a teeny tiny savory souffle made with strong flavors of shrimp and fennel, with teeny juicy prawns tucked at the bottom. I’m far from a molecular gastronomist or a great chef, but I’m a pretty decent cook and more importantly, I like food a lot. Enough to experiment, to revel in the tasty and successful and to woman up and choke down the less tasty and less successful (well, besides that vegan key lime avocado pie I made with fermented avocado). Whenever we go out to eat I like to make a mental note of the flavor combinations or of unusual things that go together- this is why I put raisins on my Indian curries or apples in my Vietnamese spring rolls. 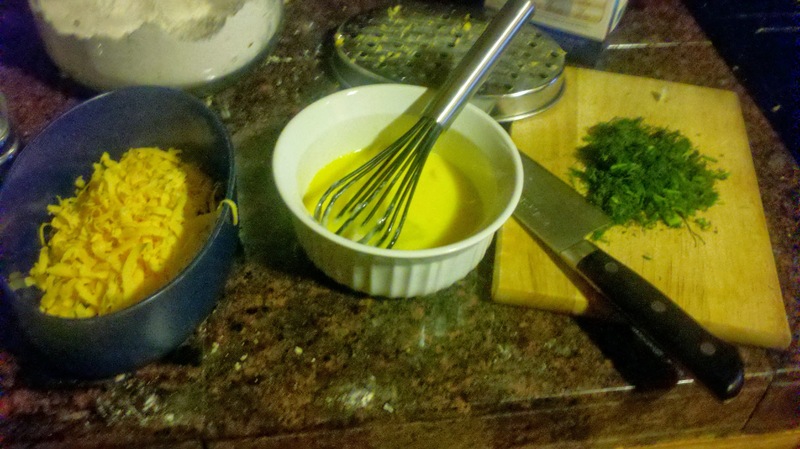 So, inspired by this savory shrimp souffle, I thought I’d make mini savory souffles for brunch. 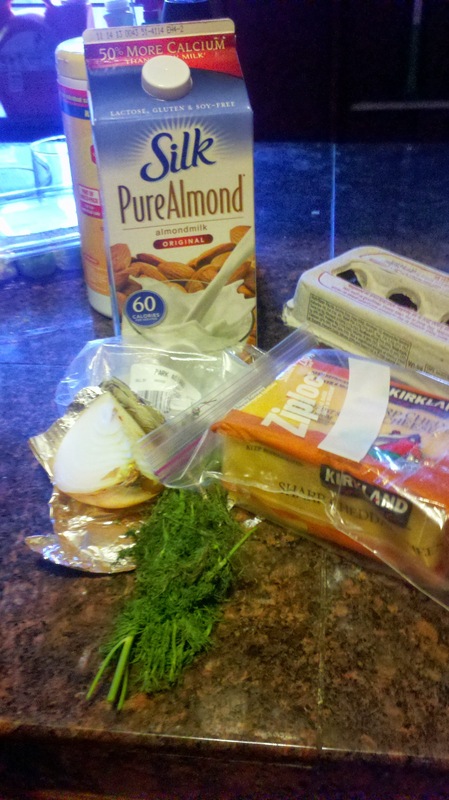 I opened my fridge and found a quarter of an onion, eggs, almond milk, half a bunch of dill and some cheddar cheese. We seriously needed to go grocery shopping. 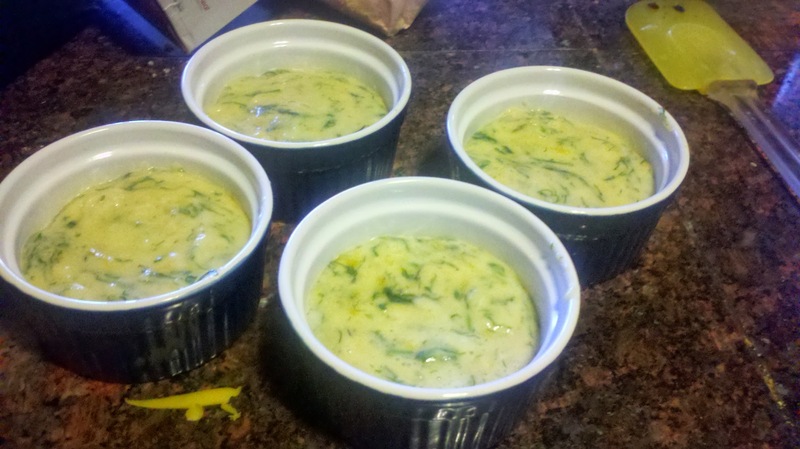 The basic steps for this souffle is much like the sweet souffle that I apparently haven’t posted yet. Make a roux, add the milk until it’s thick, and in all the other things, bake. Serve immediately before it depuffs! But, but, but her piece was bigger! Why did you melt mine??? Oh c’mon how THICK are your skulls? The cook doesn’t care about any of your opinions. Are these puns too cheesy? So they tell you to beat the egg white until stiff, but I didn’t want to take the beater out of the box and wash it etc. So I just whisked that egg white for 2-3 minutes and I got it pretty foamy/kept it’s shape-ish. Whatever. Egg whites can become like 8 times bigger and this one probably got twice as big, which is pretty good for hand whisking. 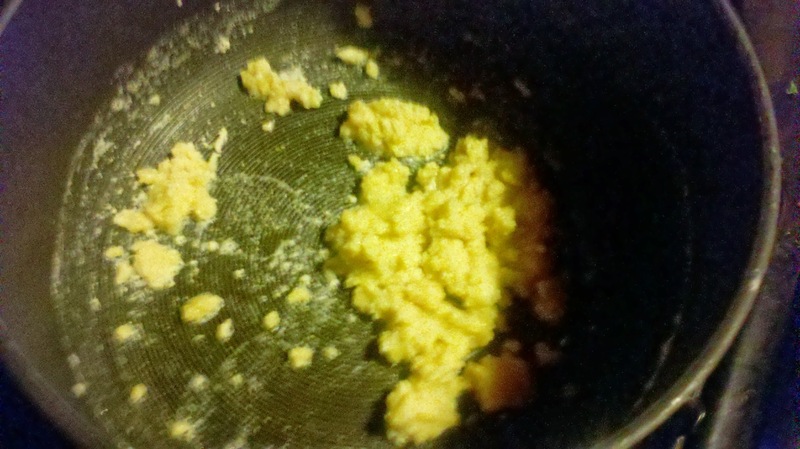 I barely got the whole bowl in this picture… maybe I should pick a whiter frame. Enter the fold, my child. And be… incorporated? This really was surprisingly easy. 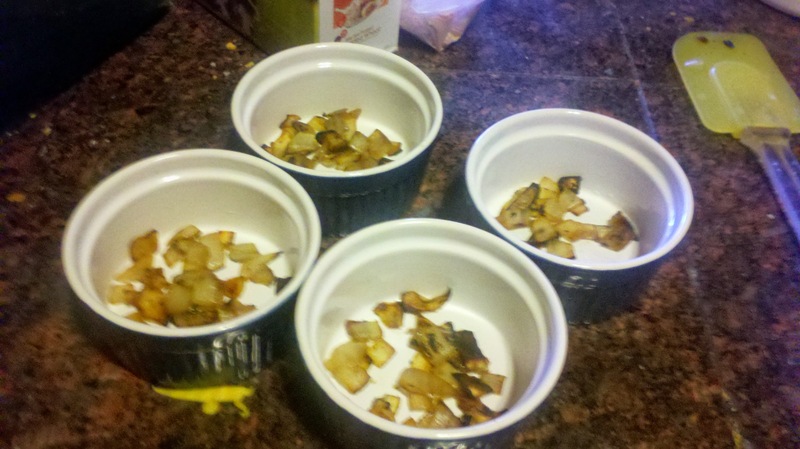 Then just put the onions in your greased ramekins, pour the egg mix on top, and bake until done! Preheat the oven to 400. It takes awhile which is why this step is up here. 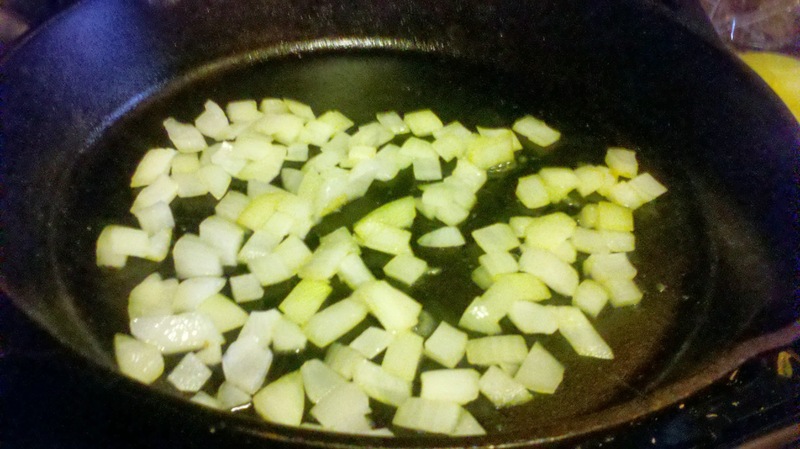 Dice the onion and throw in a pan with a little bit of oil on medium. Stir occasionally while doing below. 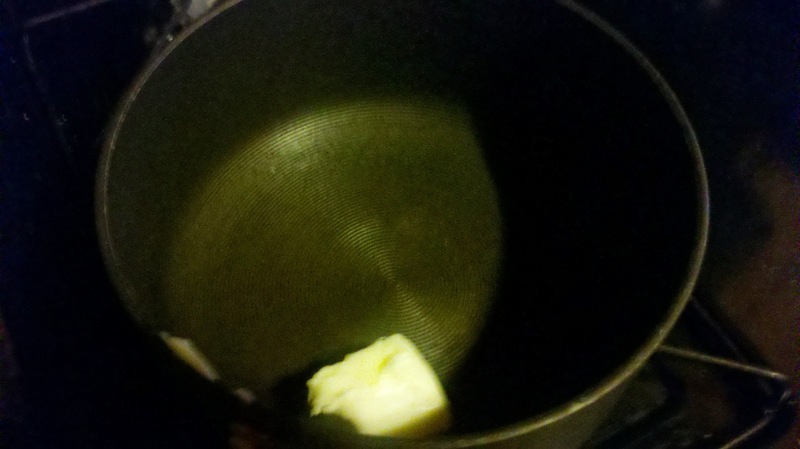 Melt the butter in a pot, then whisk in the flour to form a roux. 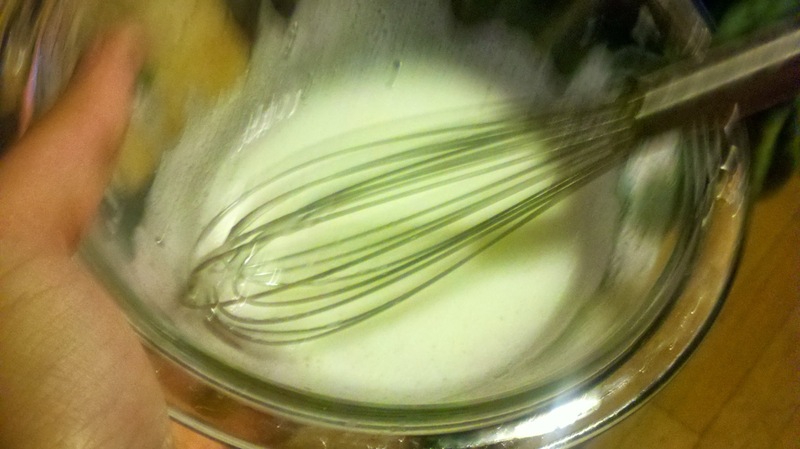 Once that’s mixed (see above picture; it can be sorta clumpy), pour in the milk and whisk hard so there’s no clumps. 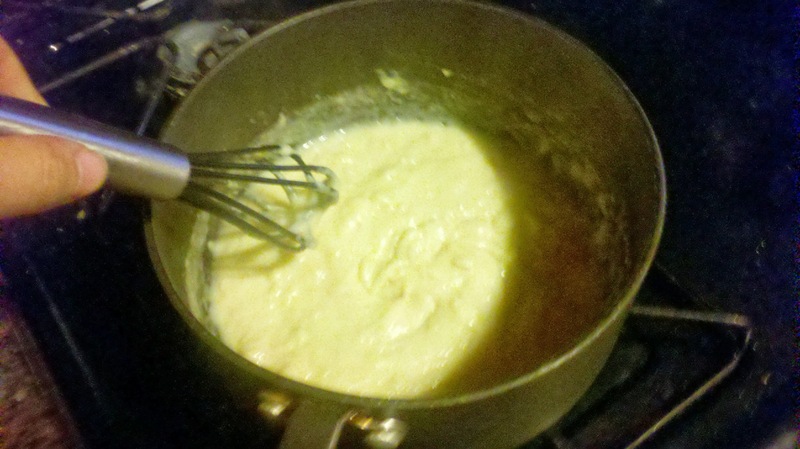 Bring to a boil, stirring constantly, and simmer for a few minutes (<5) until the milk is thickened. Turn off heat under the milk. If you haven’t already, grate your cheese, chop the dill, separate your eggs, grease your ramekins (I cut the recipe in half and made 4 mini ramekins). If the onions are done to your liking, put them in the ramekins. If not, keep cooking them. 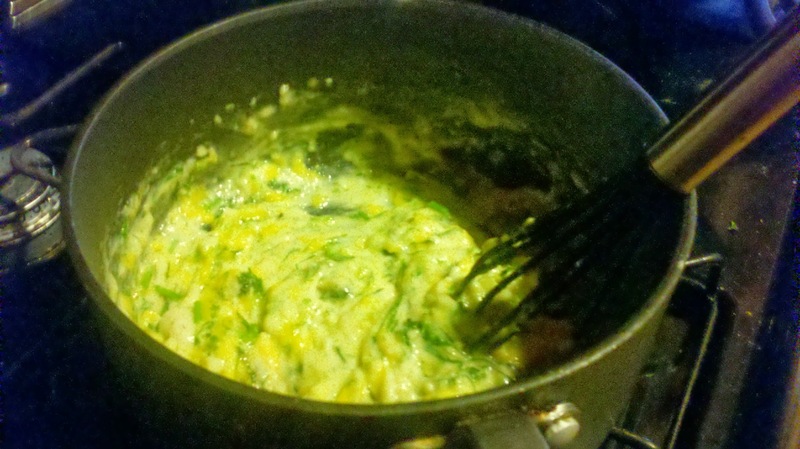 Stir the cheese, dill, and egg yolks into the sauce. 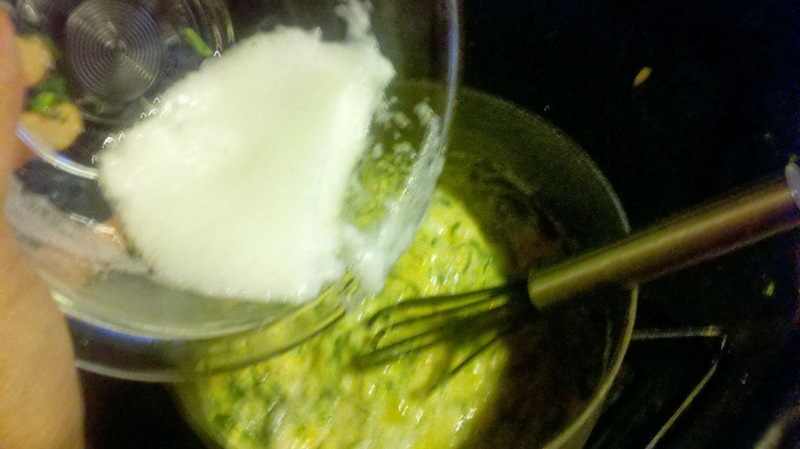 Beat the egg whites until stiff or until you’re bored of doing so, and fold it in, a little bit at a time. Then divide the mixture into the ramekins and bake for 15-20 minutes, or until they look lightly golden brown on top and have poufed. Oh man, we got to go to Next on my husband’s birthday a few years ago (last minute, too, through facebook-we only knew 2 hours before dinner that we would be going, and it was the last day of the menu). We went to their El Bulli menu, which was totally over the top with 29 courses (and a LOT of money). It was amazing, probably the best meal I will ever eat. We could barely move the next day. At 5 pm I finally had a few bites of fruit. I’m so happy when I hear about other people’s visits to Next because I get to remember our amazing dinner there!